Did you even had trouble with Network Manager or ifconfig and felt that you need to try to set up static IP address from command line / CLI ifconfig? I accidentally removed Gnome (my bad, wasn’t paying attention and did an apt-get autoremove -y .. how bad is that.. ) So I had a problem, I can’t connect to Internet to reinstall my Gnome Network Manager cause I’m in TEXT mode. Similarly I broke my network manager cause I was trying to use VPN and it just wouldn’t come back. I tried reinstalling it, but you need Internet for that. So here’s a small guide for that you can setup IP address and networking from Linux Command Line or CLI. You’ll be able to browse it from your mobile device and make things work. # /etc/init.d/networking stop [ ok ] Deconfiguring network interfaces...done. 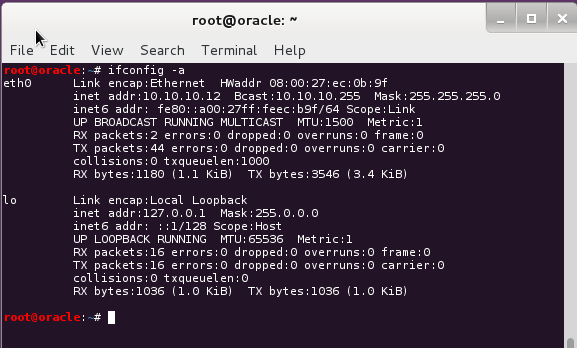 # /etc/init.d/networking start [ ok ] Configuring network interfaces...done. # /etc/init.d/network-manager stop [ ok ] Stopping network connection manager: NetworkManager. # /etc/init.d/network-manager start [ ok ] Starting network connection manager: NetworkManager. Just for the kicks, following is what restart would do.. similar I still prefer stop/start combination. # /etc/init.d/network-manager restart [ ok ] Stopping network connection manager: NetworkManager. [ ok ] Starting network connection manager: NetworkManager. Now lets set IP, subnet mask, broadcast address. and try to ping Google.com (cause if google.com is down, Internet is broken). Ah Internet is broken. Maybe not! So what went wrong in our side. Previous articleHow to fix Wired Network interface “Device not managed” error in Debian or Kali Linux?